There are several informal food holidays that celebrate chocolate and National Milk Chocolate Day is one of them. It is celebrated every year on July 28. Pure chocolate liquor has a bitter taste therefore sugar and sometimes milk are added to chocolate intended for consumption. There are different types of chocolate depending on the ingredients. Milk chocolate is made with chocolate liquor mixed with fat (typically cocoa butter), sugar, and milk in the form of liquid milk, milk powder, or condensed milk. Milk chocolate was invented by German company Jordan & Timaeus in 1839. It originally was only available as a beverage. In 1870s, Swiss confectioner Daniel Peter created solid milk chocolate which was made with condensed milk. Milk chocolate is one of the sweetest types of chocolate. 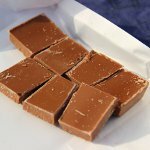 The minimum amount of cocoa solids contained in milk chocolate varies by country depending on the local regulations. For instance, it is 10% in the United States, 15% in Canada, 25% in the European Union. The concentration of milk solids varies, too, from 12% in the United States and Canada to 14% in the European Union. To celebrate National Milk Chocolate Day, indulge yourself with your favorite milk chocolate treats. It will surely make you happier as chocolate is known to cause the brain release endorphins, chemicals that make us feel good.